Learning your times tables is very important and is one of the most important skills when it comes to the SATs tests to be able to keep up with the number of questions that have to be answered. By the end of Y2 children should know their 2,3,5 and 10 times tables and by the end of Y4 they should know them all. However, it can be very boring to learn them! Here at Langley we are always looking for interesting ways to get your children involved in their learning. To do this we would like to offer your child a new website to use. This is a fun and competitive game that children can play free of charge to practice their tables. It is completely safe to use but has all the fun of competing against the clock and others. As the children use it they get coins and they can upgrade the character they play as. This is my rock star character – Spider McKinnon! One of the best things about the game is if there are tables that your child is finding hard the website can work this out and give them more practice on those. To get started the classes will be taught how to play by their teacher and then given a login. The login can be used on the website itself, but you can also download apps on Google Play or the Apple App Store (these are free). To begin with your child will need to log on and play 10 rounds of the STUDIO game. This will give them a speed score which they need to take part in other games. Each round takes 1 minute. Remember me? – I’m back again! Would you like to win a Rockstar bug? 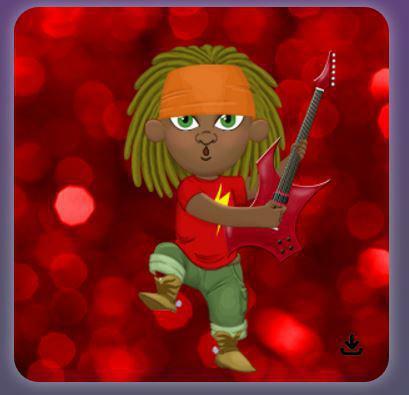 All you have to do is answer 300 questions correctly on Rocktars in 7 days. We will check every Thursday evening to see who has achieved the 300 and you can have one of our lovely little bugs. There are several colours so why not try and collect the whole set? We have 1000 bugs to give away – once they are gone they are gone!